When making an important business decision, you want to have ample information and be sure that you will work with people you can trust. You can kill two birds with one stone by meeting us at one of our upcoming events where you will learn more about our services and products. Let us know you will be there so we can take enough time to answer all your questions. 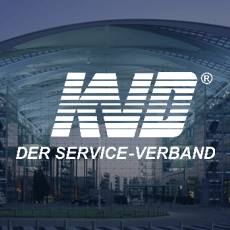 proMX is a member of KVD, Europe's largest service union. At its annual congress at the Hilton Hotel Munich Airport, you can find us at our booth. Our team will answer any questions you might have about Microsoft Dynamics 365.